The iTerra TL1290 is a high performance color LED printer developed for the use in well logging, mud logging, geological, geophysical as well as other scientific subsurface displays. 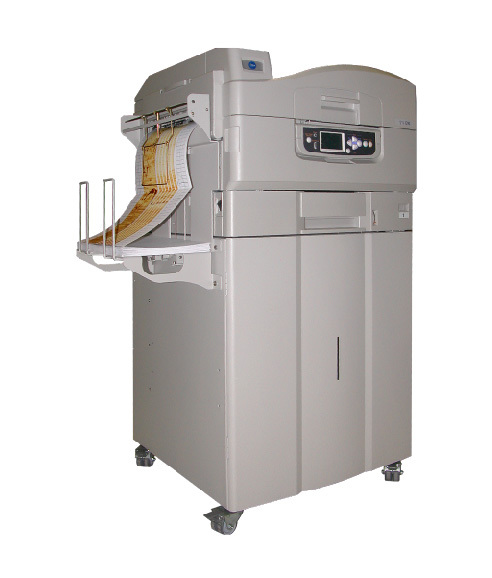 The iTerra TL1290 allows wide format continuous printing at unbeatable 6” per second, while maintaining a color image quality that is unsurpassed by other printers. The TL1290 is designed to give you the advantage of doing more in less time, with unrivaled results. The iTerra TL1290 is a high performance color LED printer developed for the use in well logging, mud logging, geological, geophysical as well as other scientific subsurface displays. The Imaging Systems Group (iSys Group) presents the 4th generation well and mud logging printer, the iTerra Elite II 8.5" Color LED; developed for the Oil & Gas Market.